Bonsly in game: 1,936 Who? Important notice! 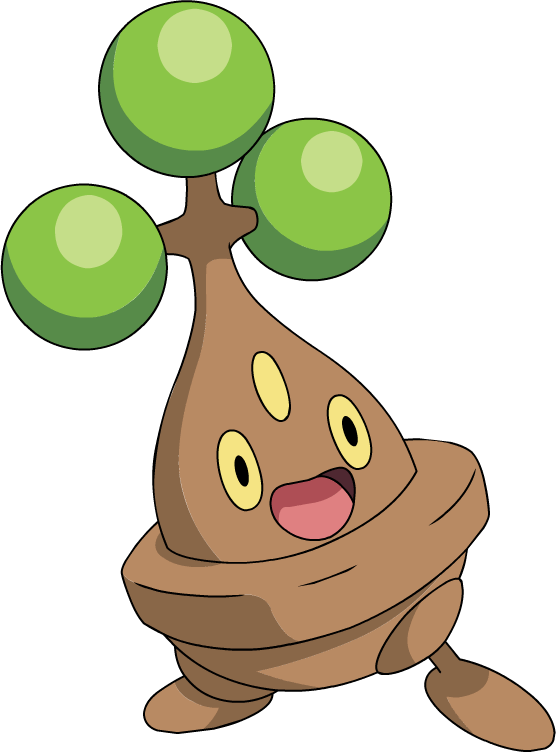 Pokemon Bonsly is a fictional character of humans. 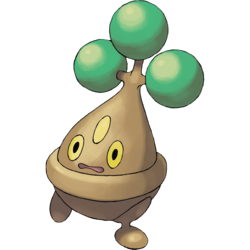 Bonsly (Japanese: ???? Usohachi) is a Rock-type baby Pokémon introduced in Generation IV. 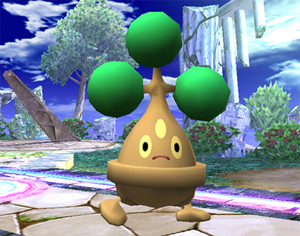 Bonsly is a good mimic, making it often mistaken for a real bonsai tree. It can remain in the same spot for a long time. It also has a habit of crying, not because it is sad or needing attention, but rather it is due to excess moisture in its body. It prefers dry areas, but it isn't uncommon to see one in a garden. 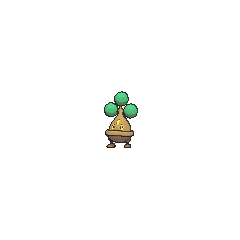 As suggested by Brock's Bonsly, a very young Bonsly needs to be bottle-fed but can eat solid food when it matures. In From Cradle to Save, Brock captured a baby Bonsly and took care of it. It evolved into Sudowoodo in Leave it To Brocko!. A Bonsly followed Ash and his friends on their mission to rescue Pikachu in Lucario and the Mystery of Mew. A wild Bonsly appeared in PK15. It joins with Pikachu and the other Pokémon on the trip to the haunted house. Another Bonsly appeared in The Fleeing Tower of Sunyshore!. 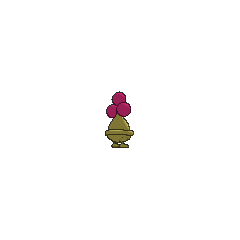 A Bonsly appeared in Forging Forest Friendships!. Two Trainers' Bonsly appeared in SM006. A Bonsly appeared in SM008. 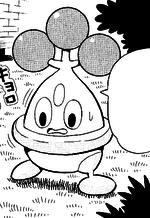 A Bonsly appears under the ownership of a female Pokéfan in the Platinum chapter. Hareta has a Bonsly which he caught it in Team Galactic's Greatest Warrior. 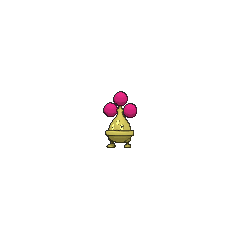 Note: Through the use of cheating, players can obtain a Bonsly in Pokémon XD: Gale of Darkness. However since it cannot learn any moves, it is almost unusable, unless one were to cheat to give it moves. 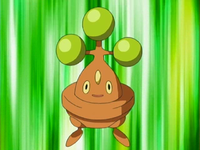 Bonsly's English name was revealed on June 16, 2005. Usohachi is a combination of ? uso (false) and ? hachi (flowerpot). It may be a play on ???? usoppachi (downright lie). Mandarin Chinese ??? Ài Ku Shù Literally "Crybaby tree".